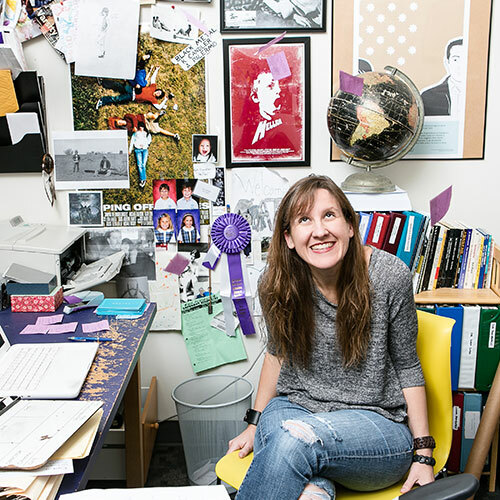 Kat Candler is an award-winning screenwriter and filmmaker. In 2012, her short film Hellion had its World Premiere at the Sundance Film Festival. 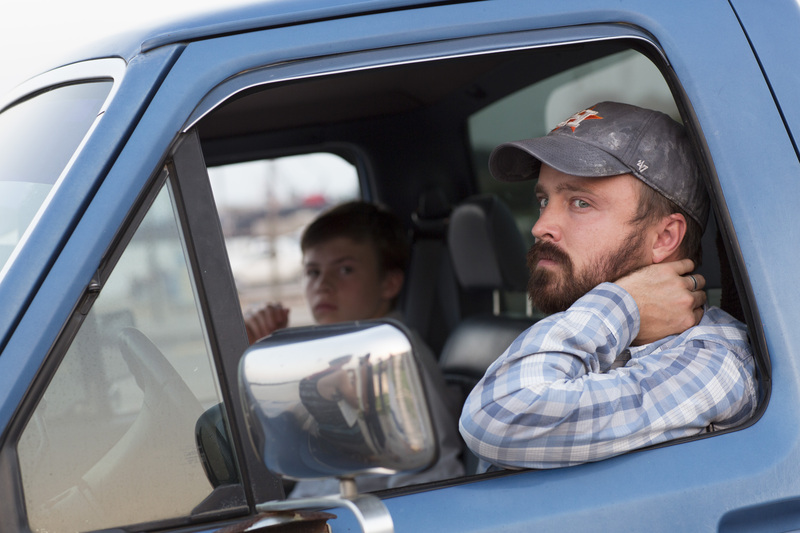 In 2014, the feature-length adaptation of Hellion, starring Aaron Paul, Josh Wiggins, Juliette Lewis, Deke Garner, and Jonny Mars, was nominated for the Grand Jury Prize at Sundance and was an Official Selection of the SXSW Film Festival. Newcomer Wiggins stars as motocross-obsessed teenager Jacob Wilson, whose grief over the death of his mother endangers his home life with emotionally absent father Hollis (played by Paul) and younger brother Wes (Garner.) The film was released domestically in June 2014 by IFC, and is now available on Video-on-Demand. Kat Candler spoke with Sean Malin of CineMalin: Film Commentary and Criticism about teaching film at the University of Texas, the pleasure of the casting process, and working with mentors and protégées to get Hellion made. This interview has been transcribed, edited, and compressed from audio for publication. Sean Malin: Looking back on your films leading up to Hellion, the theme of the [American] South comes up powerfully to me. 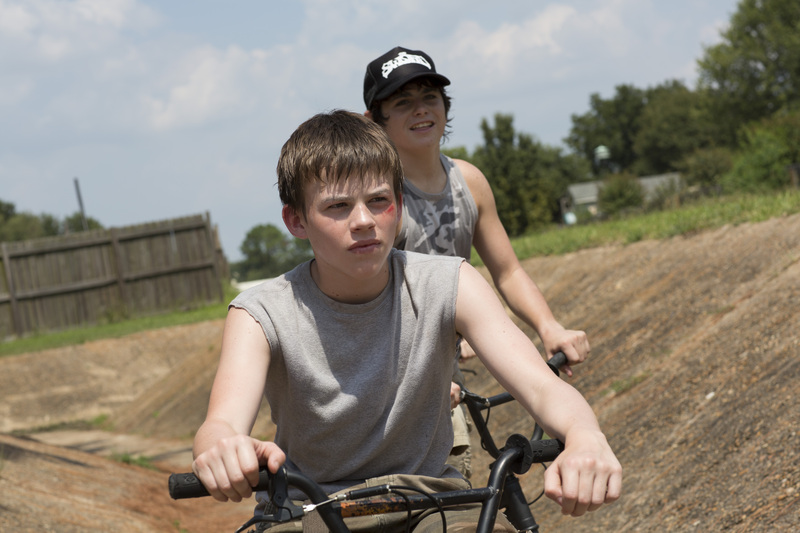 Hellion is set in Texas, but you’re not from [Texas] originally, are you? Kat Candler: No, I’m originally from Florida. SM: Do you think of that – geography aside – as the American South? KC: Yes, though it’s certainly very different from Texas. I grew up in Jacksonville, FL, which is a bit like Houston. Lots of strip malls, and it takes an hour to drive from ONE side of town to the other. So it didn’t always feel that Southern. Then I went to school in Tallahassee, which feels like a tinier version of the South. SM: When I think of the South in contemporary film, I think of filmmakers like Jeff Nichols and Terrence Malick, and by association, [Tree of Life producer] Sarah Green. Do you think setting Hellion in the South is part of what attracted Mr. Nichols and Ms. Green to join your film [as executive producers]? KC: Jeff has been a friend of both [producer] Kelly Williams and mine for a number of years; and Sarah was Kelly’s mentor through the Sundance Producers Labs, so as the director of the film, I ended up meeting her. The story definitely drew their attention – this is the kind of project they both gravitate towards. SM: You have a reputation in the Austin film community for being one of the kindest, most genuine people to work with. This has been volunteered to me repeatedly in interviews. In my experience, that’s not a common compliment for someone whose films continue to grow in budget, scope, and visibility. As your projects have gotten bigger, have you had to drop any of that good spirit on set? KC: My number one rule in my class at the University of Texas [in Austin], as well as when we bring people to work with us on sets, is that they have to be nice. They have to have good hearts and be good humans beings. It’s far too hard to work with assholes. At the end of the day, telling a story requires a lot of collaboration. Being a jerk on set seems counterintuitive. SM: How did this film evolve from short to feature? KC: I loved the world these characters lived in so much [in the short] that, after the short was shot, I wanted to stay there. Someone mentioned on set that this world seemed like it was in Port Arthur, Texas, and then Kelly said, “Well, I actually grew up there.” We started going down there to do research, which is my favorite part of the preproduction process – immersing yourself in whatever world you’re writing about, be it the refinery town or the heavy metal scene. SM: Given that you are coming from a more established film scene in Austin, TX, how did the people in those scenes respond to you entering their world? SM: Was it important to you to shoot locally in these towns, where it might have been harder to make things come together for locations, crew or extras, rather than Austin? KC: Early on, when we were developing the project, there was this choice right up front: should we just shoot in Austin and try to cheat it for a much lower cost? But I always felt that we had to shoot in these cities because there’s something much more organic about seeing those places onscreen. Between the people who live there and the physical details, it’s not the same to just go film in Austin and head down [to Port Arthur] only for B-roll. SM: You mentioned earlier that you teach at the University of Texas. When you make films, do you have students from the university work with you? SM: Have you ever directly mentored or shepherded any of these students in the process of introducing them into the Austin film community? Small as Austin can be, it takes some serious networking to meet the right people. KC: When I first began teaching, I noticed I would only get one or two girls in a class of twenty for something like, “Narrative Directing.” So a year or two later, I started an organization to support the female Radio-Television-Film students called Women in Cinema. Every semester, I take on at least one or two mentees, and we pair upper-level undergraduates with lower-level undergrads or grad students with undergrads. A couple years ago, I paired one student with [editor] Sandra Adair, and then Sandra hired her when she finished school. We do panels every month with women from the Austin community and filmmakers who are coming into town. Editor’s Note: Hellion received development grants from the San Francisco Film Society’s Kenneth Rainin Foundation and the Austin Film Society.